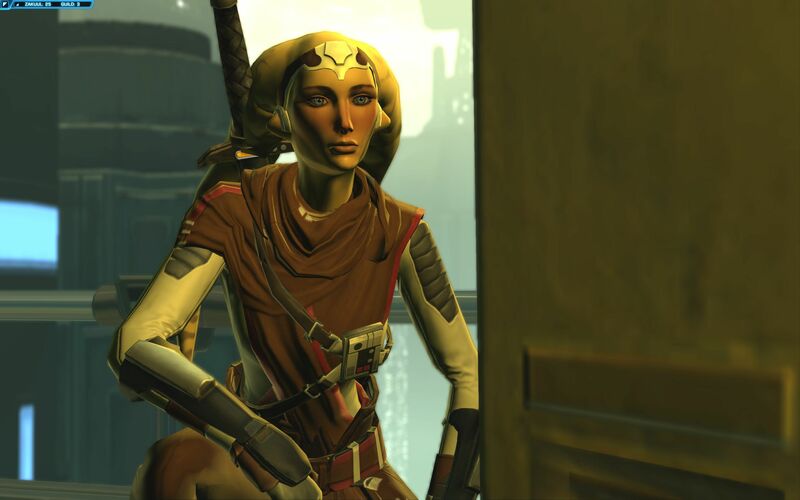 I want to introduce one of my SWTOR characters from the Imperial Side. 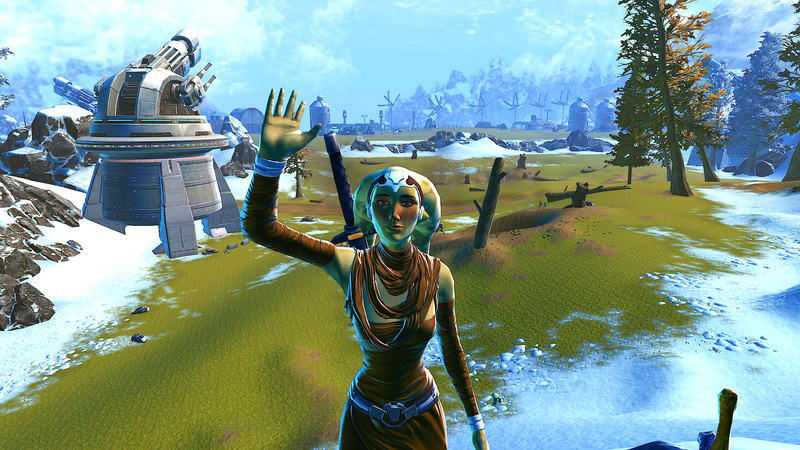 I will gradually introduce all my characters because I connect to any SWTOR characters I keep. I decided to write this one next after finishing the Sith Inquisitor storyline in-game and realised I had connected to my Sith Healer more than I realised. Where Does the Name Talitha’koum Come From? The name comes from a phrase mentioned in the Bible. It means ‘Little Girl Get Up’. As a female who was forced to be a slave (keep reading), telling her self to get up time and time again, her name displays her resilience to opposition and a constant encouragement to her to keep going, even when life seemed bent against her. Talitha’koum (later known as Tal to those who got close to her) had an odd start in life. As a Twi’lek, her genetic parents originated from Ryloth. However, her ‘parents’ hit real financial difficulty, and instead of selling her mother into slavery (all too common for this species), they participated in a sick ‘slave factory’ for a Hutt, in which their genetics were harvested for a massive experimental cloning facility. 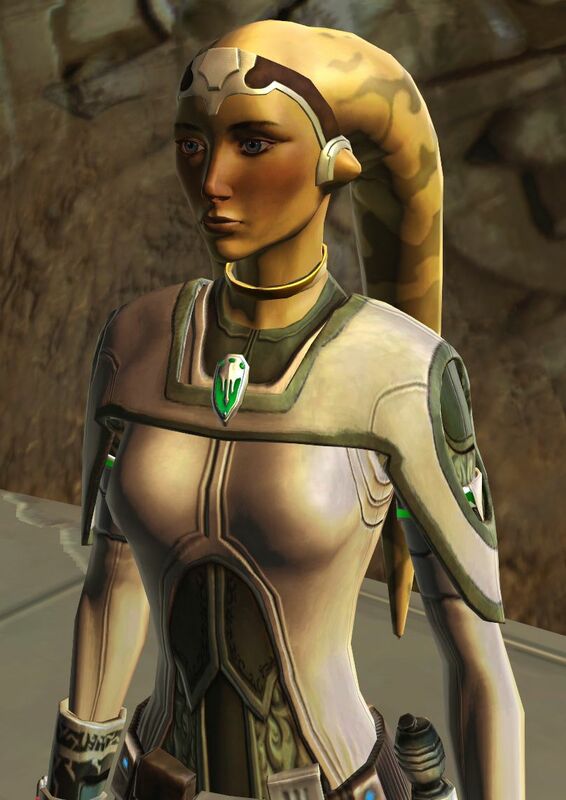 Born in a lab, Talitha’koum was grown in an off-world space station, before finally being sold off to a slaver in Nar Shadaa. With a sharp eye for survival yet massively protective over herself, Talitha’koum served quietly but it was her refusal to give extra-marital ‘favours’ that saw her sold on again to a red-skinned off-worlder. She was told a new life was starting and she needed to break any ties to her past. In an odd turn of events, she tracked down her blood parents in a bitter-sweet reunion, and said her goodbyes just hours after their initial introduction. 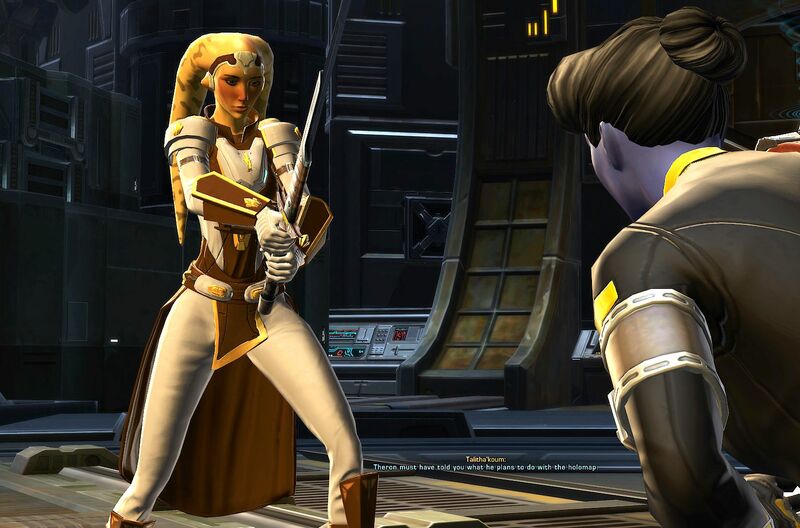 Dumped into Korriban, Talitha’koum was exposed to Sith teaching, being groomed to serve the Empire. Her trials were cruel, physically demanding and forced her to kill other slaves, simply to survive. Yet, she stood apart from her fellow Acolytes in her skills in healing. Her past hurts could have turned her into the perfect bitter Dark Sider, yet she wanted to heal wounds, both spiritual and physical. It was her past which taught her survival, and she harnessed that perfectly to hide her caring, Light Side tenancies from her masters. Once given her freedom to serve the empire off Korriban, Tal kept time to herself to reflect on the Force and her standing within the Empire. The Twi’lek befriends people of all races and regardless of Light or Dark Side persuasion, simply by giving them the respect she was denied earlier in her life. Finding peace within the Light Side of the Force, yet being tracked and forced to serve the Empire which bought her service, she seeks to bring peace even in the most war-torn region. A prolific Sith healer towards other people, she still harbours a sadness of a childhood lost, showing that, in her case, healing is easier to give than to received.